Cyprus is a paradise island of incomparable natural beauty and full of unique historical treasures. 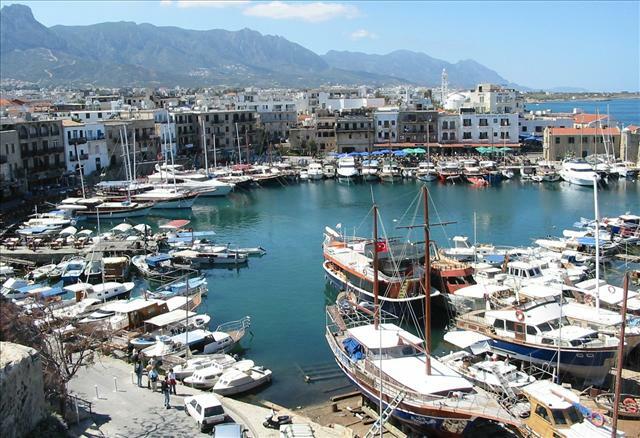 Those who have visited North Cyprus is going to remember an island of golden beaches, brilliant weather, mountain forests, ancient castles and sun-bleached villages. But most memorable ones are 350 days of sunshine, beautiful scenery, colourful spring wild flowers, sparkling blue sea, historical sites, crusader castles, warm and friendly people, delicious Mediterranean cuisine, low crime rate, this country is a must for the discerning traveller. Whatever your interest there is always something here for you. The local Turkish Cypriot is a talented, creative person and this is reflected by the many exhibitions of art, handicrafts, concerts and musical recitals throughout the year, many of them are held in the magical surroundings of Kyrenia Castle, the ancient amphitheatre of Salamis or Bellapais Monastery and these activities are often free.